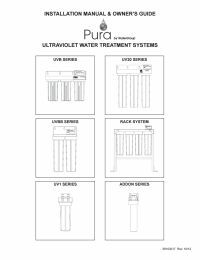 The Pura UVBB-2 is one of the most versatile commercial ultraviolet disinfection systems on the market today. 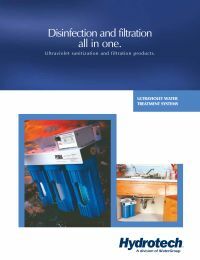 The Pura 15820121 15 GPM model is manufactured with versatility in mind, and is virtually unlimited in the possible filter configurations and manifold sequences. 28" x 15" x 9.0"